On the 10th of September 2015, the United States Senate declined to perform its Constitutionally mandatory role by filibustering consideration of the Iran deal. 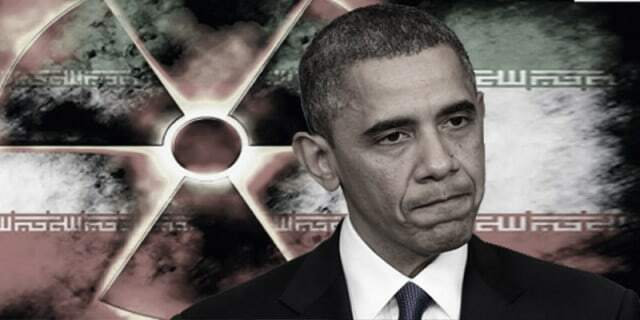 The President of the United States, Barack Obama, proceeded to act as if he had obtained authorization under the Corker-Cardin law to proceed with signing the Iran deal although his administration had not provided the text of the side deals to Congress as the law required. He was allowed to violate the law in this way by a quiescent Congress. Since then, a number of the consequences of the deal have come to light. Russia and Iran Define the Levant: Even before Congress failed to perform its Constitutional duties, Iran and Russia showed their hand by having Iran’s Quds Force commander, Qassem Suleimani, travel to Moscow in an open violation of the international travel sanctions that the deal was allegedly to leave in place. It was clear at the time that this could only mean a joint war-planning session by the Russians and the Iranians. The fruits of this meeting became clear almost as soon as President Obama signed the deal, with Russian fighters and Iranian regular forces joining the unconventional forces that Suleimani had been mustering in Syria for years. Russian troop movements occurred during the period that Congress was considering whether or not to vote on the deal, but the Obama administration made a practice of hiding from Congress the existence of many of those movements, as well as their scale and significance. At the United Nations, Russian leader Vladimir Putin used his speech — backed by the clear demonstrative power of his airstrikes and Iran’s coalition of ground forces — to define the mission in Syria as a part of an international coalition of the powerful against the forces of democracy and human rights. President Obama used his own speech to forward only mild criticism coupled with a pledge to work with Russia and Iran, if they would have him. He has followed through by meekly inviting Iran to sit on the international panel devoted to the Syrian war in spite of the objection of America’s allies, and Secretary of State John F. Kerry has hinted that America might give way on Assad’s removal in return for Iran’s participation. Iran Tests a New Ballistic Missile: Iran’s senior leadership had made repeated comments to the effect that they intended to defy the UN Security Council Resolution allegedly enforcing the deal. They made good their promises shortly after the deal was signed by President Obama. They tested a new nuclear-capable ballistic missile in what even the President’s own senior adviser, Samantha Power, paints as a clear violation of the terms of the deal. This missile has a precision guidance capacity that allows it to be directed in flight until it reaches its target. 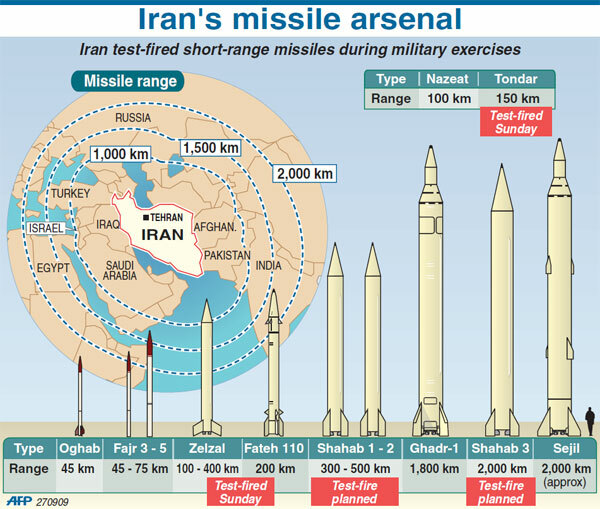 Its range is adequate to bring all of Afghanistan, Iraq, Israel, Pakistan, Saudi Arabia, and Syria under Iran’s nuclear umbrella, as well as parts of India, Turkey, and Egypt. Senator Robert Menendez had warned Secretary of State John F. Kerry that the language in the deal was not as strong as the existing language banning Iran from missile testing, but Kerry promised that the Senator had not understood. He was wrong. The Senator understood perfectly. Iran-Backed Militias Commit Massive War Crimes in Iraq: Another arm of Quds Force’s unconventional warfare strategy to gain control of a route to the Levant as well as the Levant itself is in the use and development of Shi’a militia in Iraq that are ideologically loyal to Iran’s Supreme Leader. These militia are, by Iranian design, now stronger and more capable than Iraq’s formal military structure. As a consequence, Iraq’s government is dependent upon Tehran for its survival. Shortly after Congress refused to take a hand in the Iran deal, militias loyal to Tehran seized and leveled the Iraqi city of Tikrit. Though this was billed as a strike against ISIS, the homes targeted for destruction were of major Sunni families in the area who had fought Iran during the Iran-Iraq war during the 1980s. Hundreds of citizens, including minors, were seized by these militias. Their disposition remains unknown. The IAEA Side Deal Becomes a Mockery: As deal opponents had warned, and as the AP had reported would be the case, Iran was permitted to collect its own samples from the Parchin military facility with no IAEA personnel present. Head of the IAEA, Yukiya Amano, went along with this without complaint, even saying that it was fine according to the IAEA’s standards. Reports from an Iranian loyalist newspaper claimed that Iran’s deputy foreign minister Abbas Araghchi, and one of the deal’s chief negotiators, had told them that the fix was in: the terms of the final IAEA report had been agreed-to during the negotiations, and before any inspections at all. Iran Treats with American Enemies: Since the deal slipped by Congress, Iran has been shown to be arming the Taliban in record quantities. Iran also freed top al-Qaeda leaders in spite of the expressed concerns of the United States government. Iran is also backing American enemies in Yemen, where it is being allowed to leverage a UN diplomatic effort to shore up gains it cannot defend against American allies. American Citizens Used As Hostages By Iran: Just as the Iran deal was being approved by the American government, Iran announced that Washington Post reporter Jason Rezaian would face a decade in prison — unless, of course, America were willing to trade him for Iranians convicted of violating international sanctions aimed at preventing Iran from obtaining nuclear materials. In what House Foreign Affairs Committee Chairman Ed Royce calls “he latest show of contempt for America,” Iran also arrested American citizen Siamak Namazi on charges it declined to specify. Washing Away of Counter-Proliferation Standards: The Iran deal has already undermined one of the world’s best counter-proliferation treaties, that with the United Arab Emirates. Considered the gold standard of counter-proliferation efforts, the UAE deal — like the deal with Jordan, another US ally — required them to forgo uranium enrichment in order to obtain a civil nuclear deal with the United States. 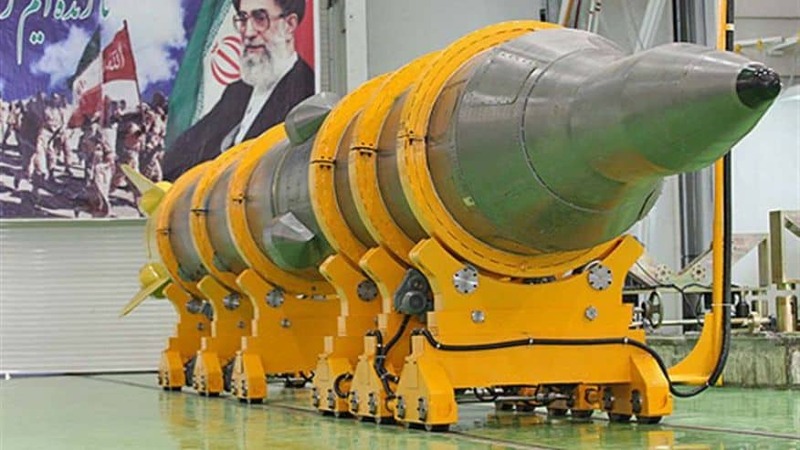 The United States gave away a “right” to enrich uranium in the Iran deal, virtually ensuring its eventual development of nuclear weapons. The UAE is only the first to demand a revision to its own agreements in the wake of this disastrous arrangement. Not that there is an “arrangement” to speak of: Iran’s Supreme Leader has shown himself free to revise the ‘deal’ on the fly, a right claimed also by Iran’s parliament. Revelations of Bad Faith with the American People: The Obama administration has been shown to be hiding and playing down Russian troop movements from Congress in order to bolster support for its deal. It has also been shown to have largely ceased enforcing existing sanctions against Iran required by laws passed by Congress for two years prior to the deal. Congress has begun to wake up to the way in which it has been ignored and misled by the administration, but its efforts to re-assert its policy oversight role have been met with pledges of resistance from the President. Only the Beginning: These are only some of the more obvious disasters of the last few weeks — weeks, not months! — since Congress failed to do its duty to fully consider whether to ratify this deal. It does not even touch on a whole series of Iranian human rights abuses, or the damage done to our relationship with Israel. It only begins to consider the damage done to the American position in the Middle East or our relationship with our Sunni allies in the region. If there has been a more damaging diplomatic arrangement in American history, it is not clear what it might be. We have only begun to discover its effects.